It is very rare that you get to say that the follow up to a very popular first feature was as good as or even better than it. 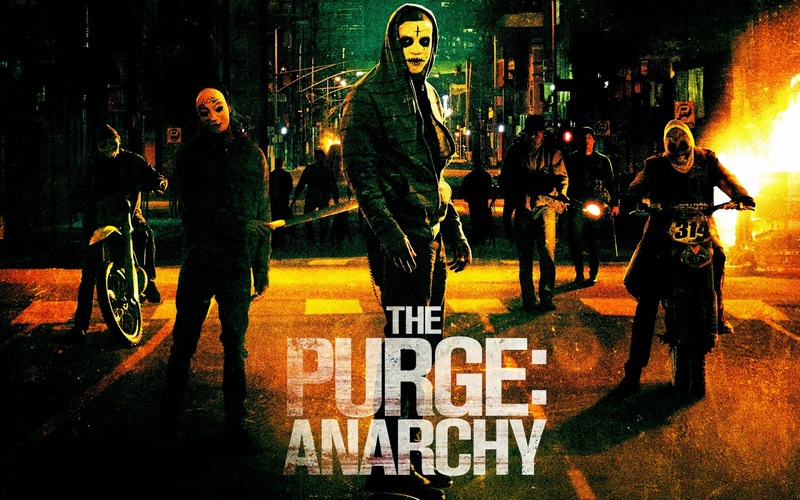 The Purge: Anarchy however, gives us the ability to do so. ‘The Purge’: An annual occasion where for 12 hours, all crime is legal. This is brainwashed into the majority of Americans as a ‘holiday’ which enables people to cleanse their souls by committing crime – a regime of the ‘new founding fathers’. The first film enabled us to understand how this disturbing night affected a particularly rich part of the population and focused one family’s individual experience. The second, on the other hand, brings in 3 central stories, among others, all based in the streets of the night, showing the true devastation of the occasion. For this reason, it is, at times, a more relatable and therefore realistic feature which also helps the story to develop further; investigating the corruption of the government and why exactly this night was introduced in the first place! Personally, it was an exciting film to watch, scary at times because of the potential reality of the situation and definitely one for a chilled night in! If you saw the first one (like it or not), you should definitely watch the second! Recommendation: Definitely worth a Rent or Download! Obviously grab a copy if you want to build a Thriller/Horror collection!